Founded in 1980, we Fibrex Construction Chemicals Private Limited is dealing in wide range of Chemicals & Additives for the requirements of construction and automotive industry. Our product range includes Floor Hardeners, Grouts, Waterproofing Coating, Waterproofing Admixtures, Joint Sealants & Epoxy Flooring & Coatings etc. Being a part of Fibrex Group, we have been serving industries since decades and have been able to set a benchmark in the industry. Constructive efforts of professionals working with us and their in-depth knowledge have helped us in setting up a strong foothold in market. Their untiring and sincere efforts help us in understanding requirements of clients and stretching our limits to offer them with products of satisfaction. Chemicals and additives offered by us are formulated using proper formula and tested stringently in high-tech laboratory available with us. 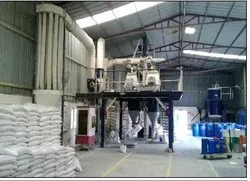 Products offered by us are eco-friendly and known for their accurate compositions, solubility, chemical efficiency, higher shelf life and strength. These products are brought into application in Petrochemical, Hydro Electric Projects, Electronics, Construction, Cement, Food and other Industrial Sectors. Supported by a state-of-the-art infrastructure spread in a vast area, we are able to formulate products flawlessly. The BCD (Building Construction Division) available at our place has enabled us in being industry leaders in domestic markets. CCAD business norms and policies adopted by us helps in formulating chemicals in accordance to ASTM/IS Standards. A high quality infrastructure is route to success for running industry and we have well maintained machinery & equipments that facilitates the entire production procedure and helps in meeting manufacturing challenges. We have laboratories for research & development purpose that serves as proper testing of our products and research for developing & coming up with new technology in the field of construction chemicals thus keeps us ahead of competition. Fibrex Construction Chemicals Pvt. Ltd. R&D Wing develops world-class construction products suited to match customer requirements in India. our products range of construction chemicals includes: Admixture, curing and sealing compounds, floor hardeners and toppings, epoxy flooring & coatings, grouts, sealants, repair compounds, waterproofing chemicals and Tile fixing solutions. We as a construction chemical company not only deal in supplying of the material but proving the complete solution right from the enquiry till the completion of the job with our authorized applicators. As application plays a most vital role in successful completion of the required project. We believe in delivering the best quality services & solutions and maintaining the long term relation with our clients. 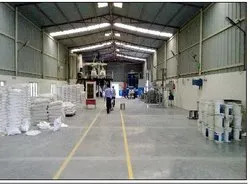 As, we are acclaimed for formulating an efficient range of chemicals and additives, we have been able to deliver the best solutions to construction, automotive and other industries across the country. We have a dedicated team of professional from high education background in the field of Sales & Marketing, research & development, with immense technical know how. Our team is dedicated to deliver the best in the industry and believe in commitment, quality services & providing solutions and help us to reach new heights of success and make a mark of our own. A regular training secessions helps them to increase their technical know how and keep then align with the new innovation coming every year. The clientele of the company is the mark of prestige that shows a mirror image to the company. We have the huge client base that reflects our goodwill and success. Our clients include the leading Architects, Builders, Contractors, MN companies, Public center companies. Our qualities products & services had help us to build so wide network and given us the repeated & reference orders. We are one of the most trusted formulator of construction chemicals and additives in India. Being a member of Fibrex group, we have achieved a benchmark position in the industry. At Fibrex, our vision is to be the best company worldwide with respect to our products, quality, solutions, services & innovations. We are committed to building long-term relationships based on integrity, performance, value, and client satisfaction.We believe that the growth of the company is derivative of the growth of our people.